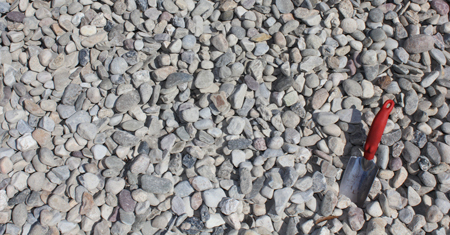 We carry a variety of different types of pine bark to be used as mulch on and around your property. At Seaside Mulch we can provide you with some of the finest pine bark in South Carolina. We produce aged Pine Bark Fines, Pine Bark Nuggets and Pine Bark Mulch. Only the highest quality 100 percent Southern Yellow Pine Bark is used in our manufacturing process. 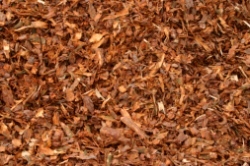 Pine Bark is the perfect mulch for avid gardeners, professional growers and landscape companies. Pine Bark’s unique composition adds porosity and loam as well as retaining nutrients and water. Pine Bark has the ideal pH for roses, azaleas and camellias. Our Pine Bark products are available in Pine Bark Fines, Mini Nuggetss, Nuggets. We also offer clean, locally raked pine straw, sold by the bale. All of our pine bark mulches are ideal for water conservation and weed control in the landscaping. 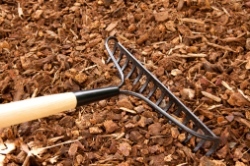 Our signature brand of color-enhanced mulch is produced from the highest quality wood that has been ground, screened and colored to exact specifications using premium colorants. You’ll discover our color-enhanced mulch to be rich and vibrant, giving any landscape a unique one-of-a-kind color. 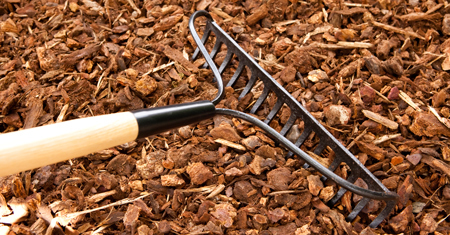 The use of Color Lock ensures that when properly installed your mulch will hold its color longer. As pine bark decomposes it adds nutrients to the soil. Most plants benefit from the additional nutrients that our mulch provides. 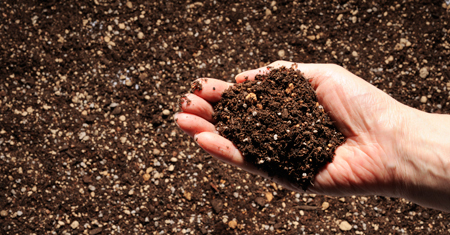 Pine bark mulch may raise the soil’s pH level as it decomposes so be careful where you use it. It helps to keep the soil cool, blocks weed growth and prevents any airborne seeds from reaching the soil to germinate. Remember not to install color-enhanced mulch if rain is in the forecast. If you must irrigate do so before you apply mulch. 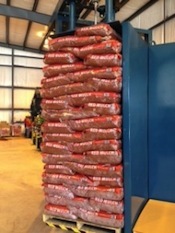 Color-enhanced mulches never completely dry in the mulch piles at our manufacturing plants and retail center. The colorant takes a minimum of 24 hours to cure on cypress mulch in South Carolina once it’s spread. Do not irrigate for 24 hours after spreading mulch. If proper installation instructions are followed, the color of Seaside’s color-enhanced mulches will last for over a year. Our premium colorants are non-toxic and safe for people and animals. They contain no VOCs, making them safe for your plants, soil, and the air.